Welcome to Clarity Success Coaching! You are probably here because you are searching for support. You may be searching for a solution to a problem you are facing or for an insightful way to crystallize your life goals and then achieve them. You may simply feel that in one area of your life you have questions that are going unanswered and a vague sense of dissatisfaction with the way things currently are. Or you may be looking for help to change in one small area of your life or for a strategizing partner to help you manifest all of your personal and professional goals. At Clarity, we help our clients crystallize their thinking, define success and live their ideal lives with passion and balance. We partner with people who are passionate about performing at a high level and about achieving great clarity about who they are and what they want. 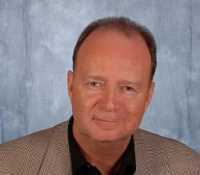 My name is Kevin MacDonald and I am a Personal and Professional Success Coach. I invite you to take the next step toward changing your life for the better. Sign up for a complimentary coaching session today and find out just how far the support that comes from working with a coach can take you toward living your ideal life.